Home / Jenny Sez / Turn Your Door into a Chalkboard Welcome Sign! 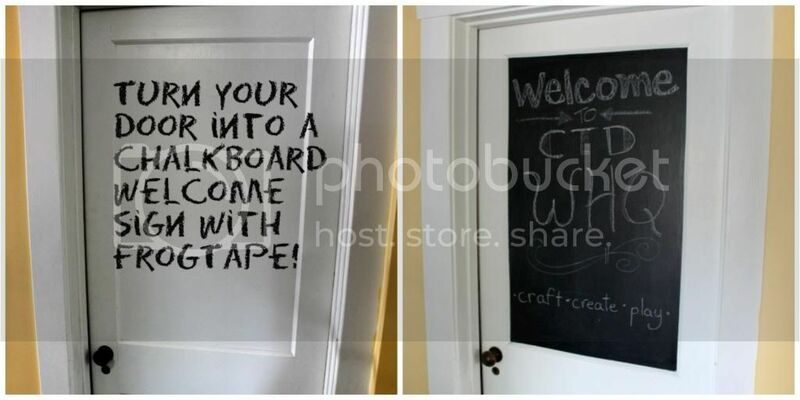 Turn Your Door into a Chalkboard Welcome Sign! I've been doing a little bit of rearranging, reoganizing and revamping our third floor- which is where my studio and an extra guest bedroom are located. Usually the door to the studio stands open- but I thought it would be super-cute to add chalkboard signs ON the doors so welcome folks to the studio or guest room… depending on the nature of the visit! But there is a teensy problem. The doors are old and grainy and textured. But luckily there is FrogTape® to the rescue! I decided that FrogTape® Textured Surface might do the trick. Let me show you how I did it step by step! Step 1: I wiped down the door to make sure the surface was clean. You can see the grain of the wood and the molding which makes it tricky. 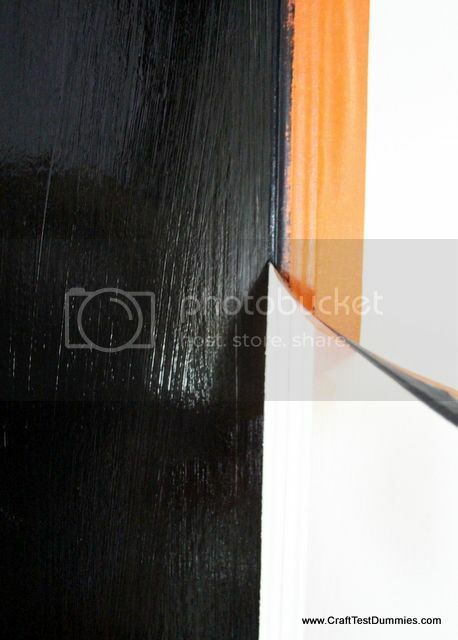 Step 2: I stared to apply the FrogTape® Texture Tape all the way around the door, inside the molding. Not a great pic…it's hard to do one-handed! 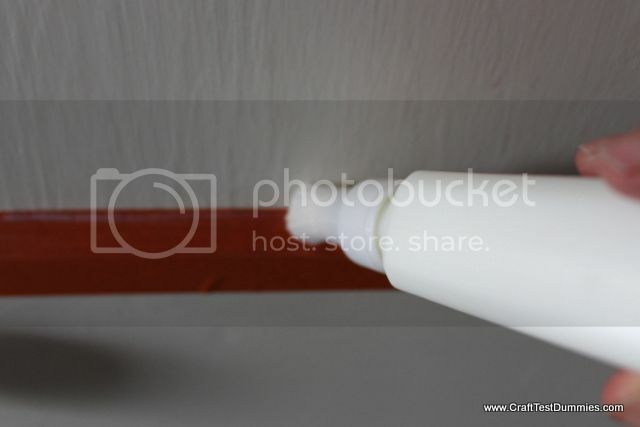 Step 5– after the Liquid PaintBlock® Edge Sealer has dried….PAINT! I used a specific chalkboard paint for this project. And I found brushing it on worked the best. 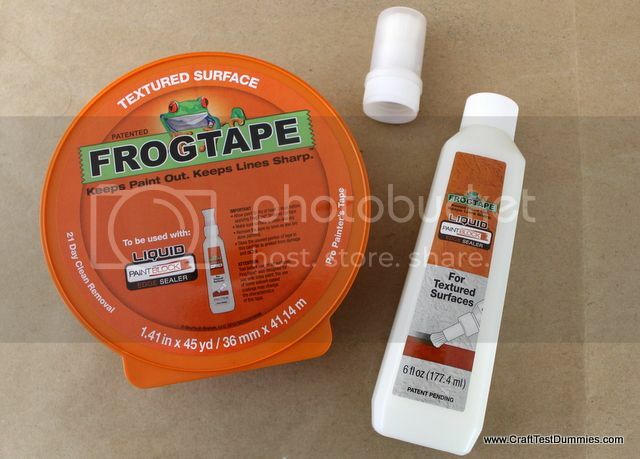 I removed the FrogTape® when the paint was still wet per the instructions on the package. Step 6: Wait 24 hours for the paint to fully cure (seriously the hardest part of the whole process) and then condiditon the surface with chalk….and then….. HAVE FUN! I'm really happy with the way it turned out…and I SUPER love those nice crisp lines agains the white door. No leaks under the tape! If you'd like to learn more about FrogTape® and the get inspired, make sure you follow @FrogTape on Twitter. 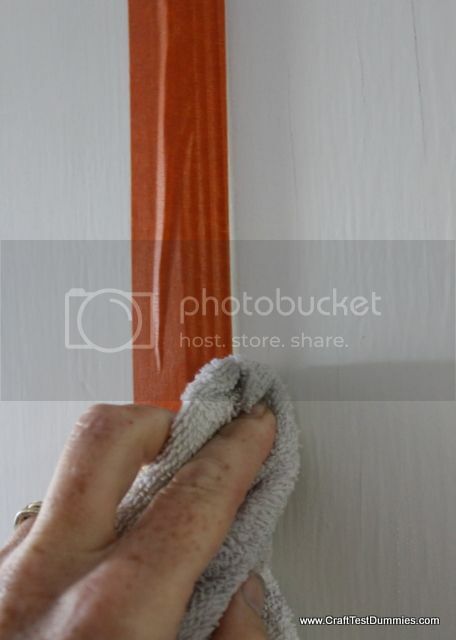 And make sure to check out FrogTape how-to for more projects and great ideas! Now my last decision…. 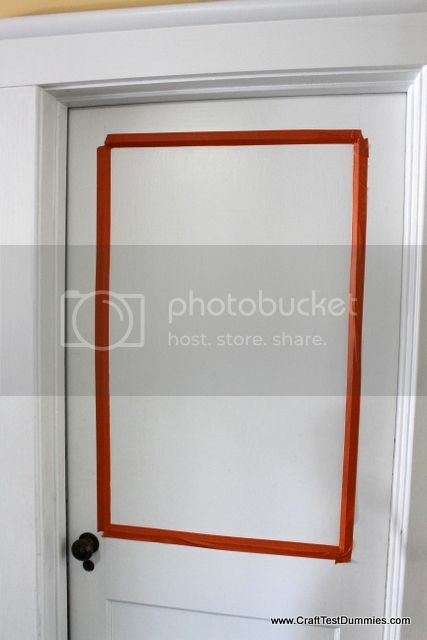 should I repeat the chalk on the bottom pane of the door, too? What would you do? 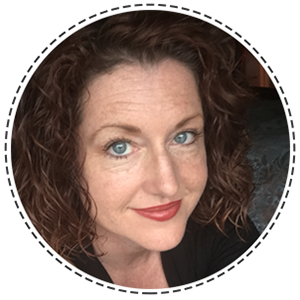 Leave me a comment- I love to hear your ideas, too! That sounds amazing, no leaking under the tape!. Personally I like it as it is now, in fact, I love it I wouldn’t paint the botton panel! 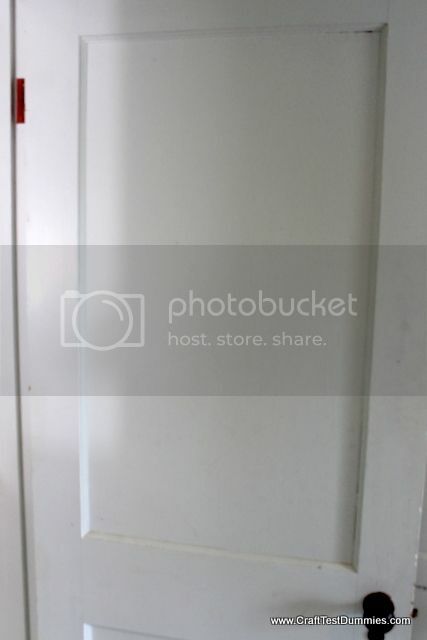 I was wondering if when you painted on the sealer, the paint dried the same as on the door itself. I thought it might show differently where you applied it. Also, I might do the lower half if you have kids that would be using it. It could be designated just for them and the upper part for adults only. Melinda- the sealer dries invisibly and did not change the color or sheen of the paint! WHOO HOO! Ohhhh!!! I love the basket idea! I love it! sadly, I live in an apt now, but will try the idea on some of my other items using the back. I like it just the way it is! Nice contrast. Love chalkboards! Yours turned out great!